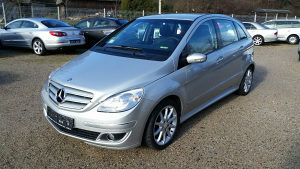 MERCEDES B 180, 80 KW, 2007 G.P ! VOZILO JE U PERFEKTNOM STANJU, TEK UVEZENO I PLAĆENE SVE OBAVEZE DO REGISTRACIJE ! VIŠE INFORMACIJA NA BROJEVE 066/834-491 MILAN ILI 065/561-378 PEĐA !